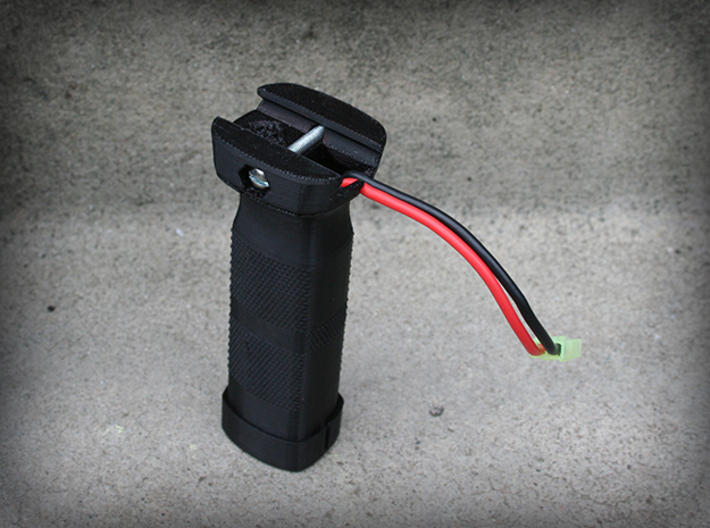 This grip is specifically designed to allow you to insert a small lipo inside the grip and fish the wire out the top/back to connect to the gun. 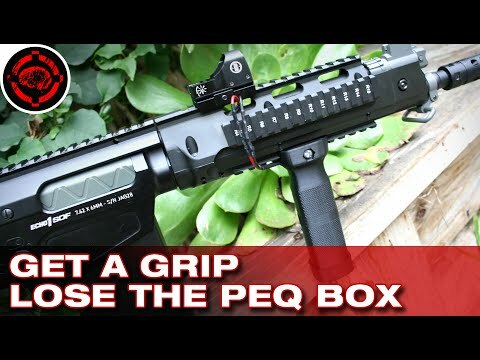 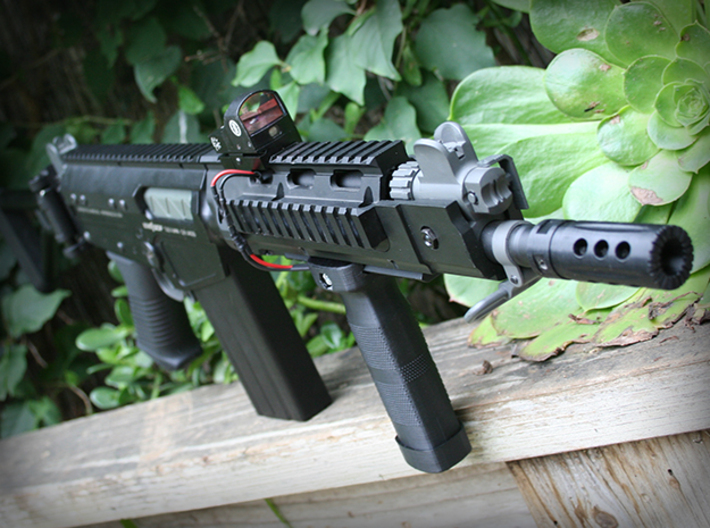 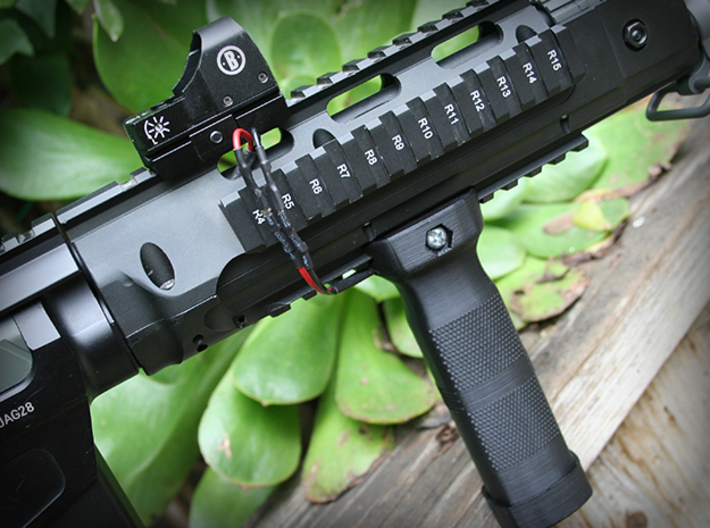 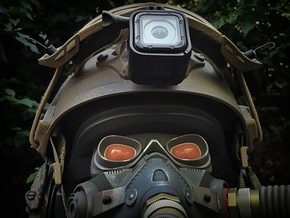 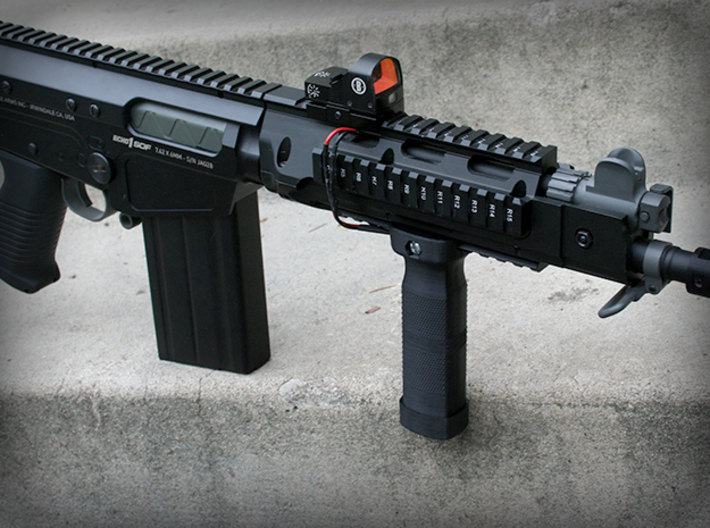 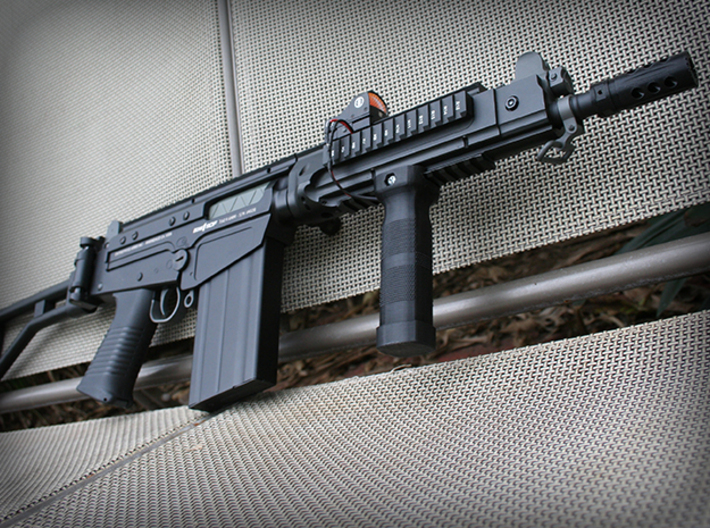 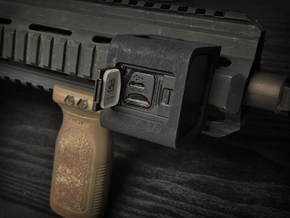 This solves the age old airsoft problem of having the heavy unnecessary dummy PEQ box on the front of the gun. 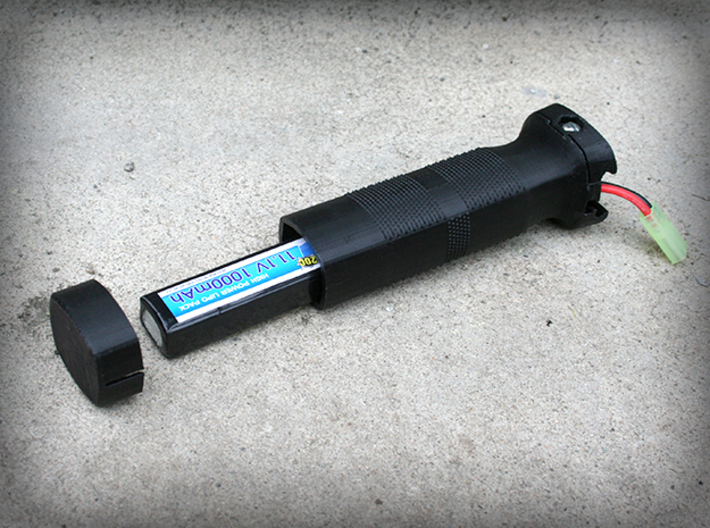 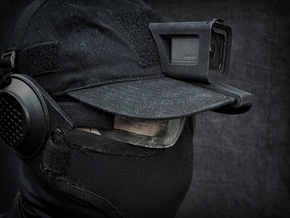 The cap protects the battery from the elements and also helps eliminate rattling. The user will have to supply their own nut, bolt and battery to mount this on to the gun. 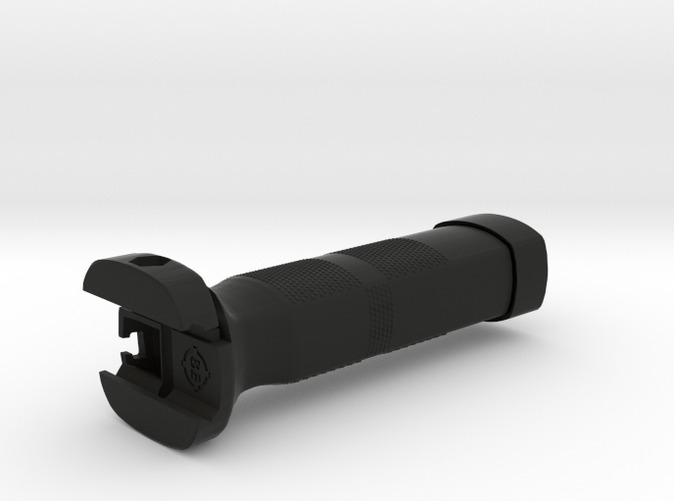 Max internal dimensions are approx 23mm x 28mm x 110mm.